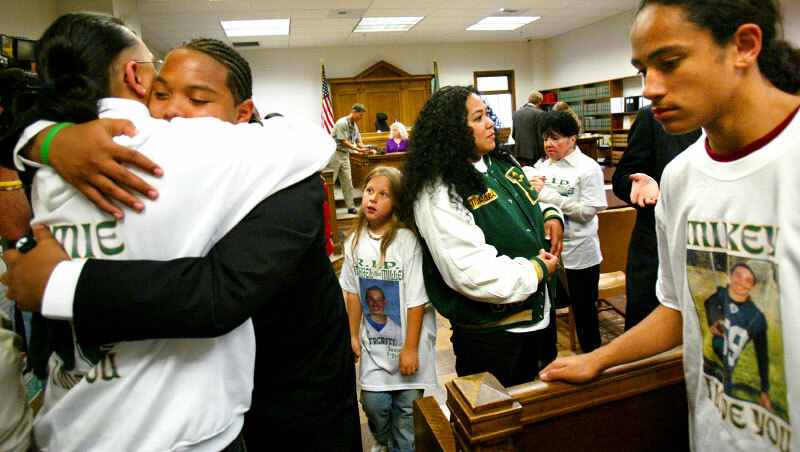 Almost a full year after fatally shooting his brother, Jordan hugs relatives after a judge spared him from doing time in prison. “This case is all too familiar,” said Judge Harry McCarthy. “Instances of young offenders having easy access, the lure of firearms and deadly consequences.” He ruled that the interests of both the defendant and community would best be served by continued electronic home monitoring of Jordan for two years. After that time is served, Jordan and his father will be required to speak to the community about the dangers of firearms. "In court it's kind of scary," he says "and having my family there definitely helps because I know that they’re supportive and will be with me forever."